Could you use some help and guidance with your homemaking? 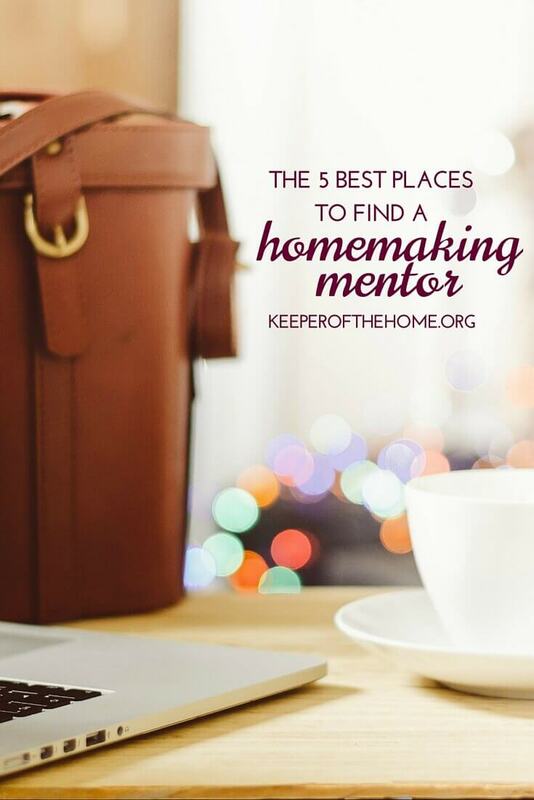 Here are the 5 best places to find a homemaking mentor, complete with advice from a seeker like you. Everyone could use some help when it comes to keeping a home. And even if you think you could be Martha Stewart’s twin and know absolutely everything when it comes to homemaking, there always – always! – are tricks to learn. But you might be fairly clueless. 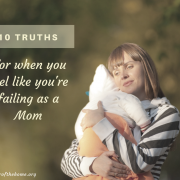 If your mother did absolutely everything for you when you were growing up – or your family had hired help and you didn’t have to worry about pitching in around the house – you may have a lot to learn. While I fully enjoyed my childhood, I was only ever responsible for cleaning my room and helping out with the dusting, vacuuming, and washing windows. It seemed like fine responsibilities for me – until I moved out on my own and discovered I knew nothing about laundry, cooking, or dishes. I had to learn quickly – and my learning experiences were filled with successes AND failures. And in all my learning, I discovered the importance of finding homemaking mentors. When the Internet was still fairly new, I relied on magazines like Better Homes and Gardens, Real Simple, and Martha Steward Living. I also read any book I could find from authors like Emilie Barnes and Chris Madden. 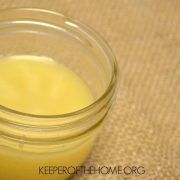 When I would visit a friend or family member, I’d take note of how the food was cooked or if there were any little homemaking tricks I could borrow. 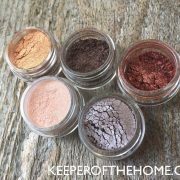 I asked questions and slowly began to figure out how to make homemaking a little easier. Little did I know I was creating informal homemaking mentor relationships. But I eagerly soaked in all my mentors could pass along about homemaking. 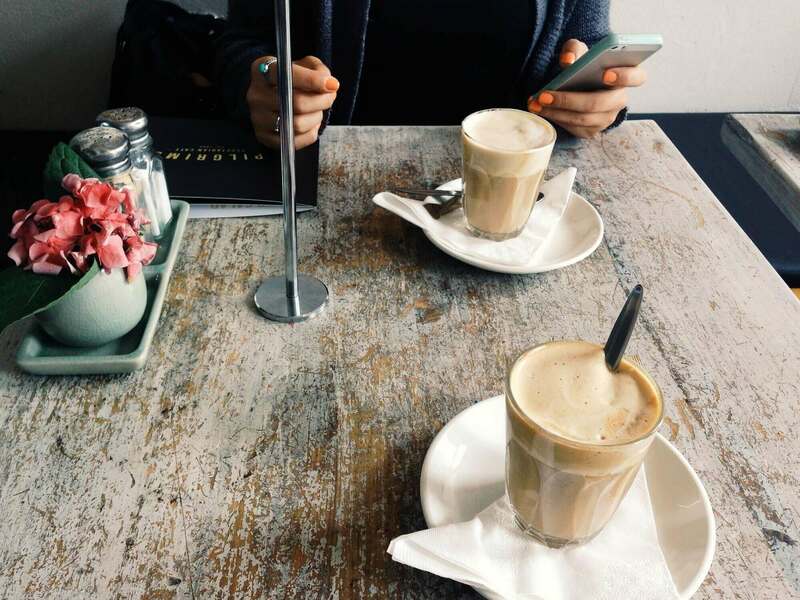 If you’re like me and could use some help and guidance with your homemaking, try looking in these 5 places to find a homemaking mentor, places that I think are the very best places you can look! If you already know someone who always makes you feel comfortable when you visit their home, start taking mental notes. What makes you feel at home when you’re there? What food and drinks are served? What’s the atmosphere like? What are the furnishings like? What sights, sounds and smells stick out to you? After you’ve taken mental notes, also ask questions. 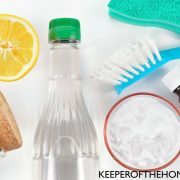 Ask if there are any tricks when it comes to doing chores. Be intentional with your homemaking conversations. If you don’t think your friends and family members have inviting homes, seek out women who might be willing to help. 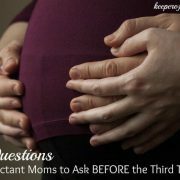 Ask older women at your church. Think about co-workers or friends from organizations you’re a part of. If you naturally gravitate toward an older, wiser homemaker, treat them out to coffee to ask some questions. 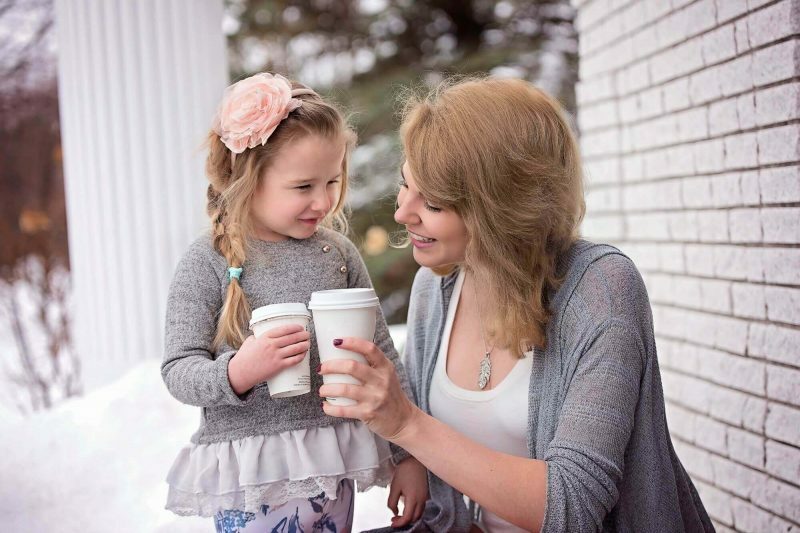 Your mentoring may be informal and short-term, or you may find that you really connect with one of these homemakers and you’d like to pursue a more intentional mentoring relationship. In this case, humbly ask them to invest in your life, then commit to time spent with each other. Read as many posts as you can to get a better understanding of homemaking responsibilities and basic instructions. Do a quick search on Google or Pinterest until you can find the help you need. Sign up for free webinars or eBooks. Or, to really dig into a specific topic, invest in buying a paid membership to an eCourse or eBook. Even though the Internet is a vast source of information, you can still find a wealth of information (with gorgeous photos and descriptions as you turn the pages) in books and magazines. Visit your local library or bookstore and peruse the shelves. Believe it or not, I’ve found the Bible to be a great source of homemaking help and inspiration – particularly Proverbs chapter 31. In fact, I found so many helpful hints – from priorities to proper focus in my homemaking to basic strategies – that I wrote an eBook about it. You can find out more information about Becoming a Modern-Day Proverbs 31 Woman by clicking here. I also found inspiration from this post in the KOTH archives about making our hearts and homes beautiful. Wherever you decide to find your homemaking mentors, definitely seek out some help. 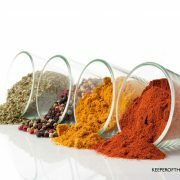 It will help make your homemaking easier – and give you plenty of ideas to try! 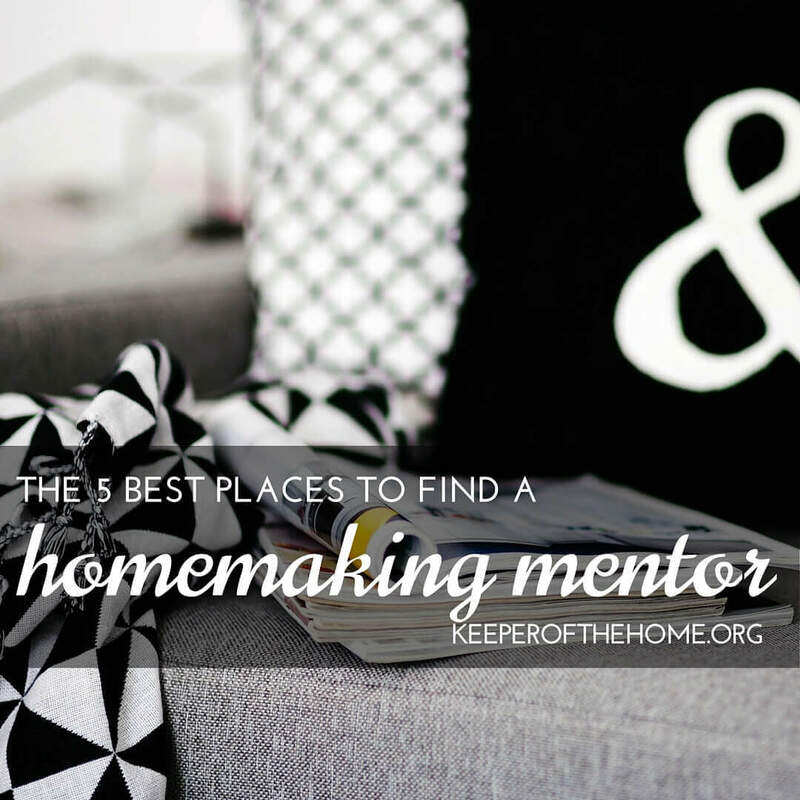 Where have you looked to find a homemaking mentor? Disclosure: This post includes affiliate links. Thank you for supporting this website!